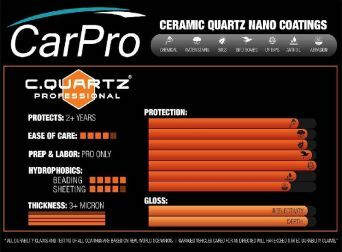 ﻿Cquartz Certified Installer - Ceramic Coating Specialists Cquartz Finest Reserve Certified ceramic coating installer Rated 5 / 5 based on 21 reviews. 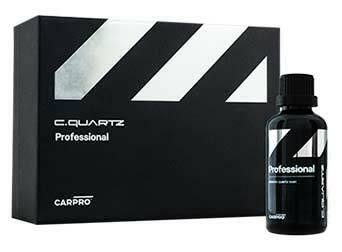 CQuartz Finest Reserve and CQuartz Professional are the ONLY premium ceramic coatings we offer. 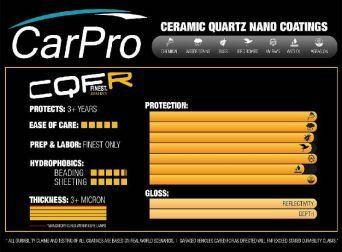 CQuartz Finest Reserve comes with a 3 Year Warranty, which guarantees the claims of this incredible product! This is where the newest detailing technology, hybrid sio2poxi nano ceramic coating, is the perfect complement to preserving your vehicle’s new finish. When choosing CQuartz Finest Reserve to protect your vehicle’s exterior, you are ensuring that your vehicle will have the richest & highest gloss coating available on the market. A ceramic coating is a liquid product, made up of ceramic nano particles suspended in a clear resin that when applied, hardens and cross links into a virtually impermeable surface that is chemically bonded to your vehicle. A quality ceramic coating will display durability, longevity, outstanding water repellency, increased gloss, greater resistance to abrasion, chemicals, and has additional UV blockers to prevent color fading and oxidation. Ceramic coatings are not paint, but they do bond to paint and help protect your paint surface. If applied correctly, ceramic coatings do not fog, delaminate or chip off the paint surface. It is considered “semi-permanent” due to the fact it will always be there until it is abraded off the surface. What do ceramic coatings do? Ceramic coatings protect the paint surface by repelling water and dirt, they increase gloss, they increase chemical resistance, they increase resistance to abrasion and add additional UV blockers to prevent color fading and oxidation. What ceramic coatings do not do? They do not stop rock chips, they do not prevent water spotting, they do not replace proper care and maintenance, they do not prevent dings or dents, they are not bulletproof and they do not last a “lifetime”. Do not buy into marketing hype presented by some ceramic coating manufacturers. What to look for when choosing an installer? Check online reviews on Google, Facebook etc. Look for photos and videos of prior paint corrections and ceramic coating installations the installer has done. 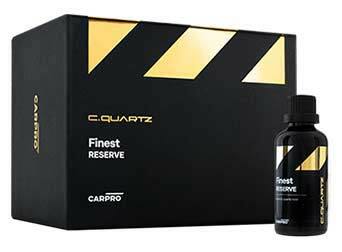 Also, look for reviews on CQuartz Finest Reserve and CQuartz Professional. NOTE: Yelp has a “Not Recommended Reviews” section because, in many cases, if the business is not paying for ad services through Yelp, their reviews get selectively removed and hidden at the bottom of the page. OK, you have done your research and you have decided you want the convenience, durability, hydrophobic properties and brilliant shine that CQuartz Finest Reserve or CQuartz Professional offers. What's next? The most important thing you can do when choosing a coating is find the right installer. 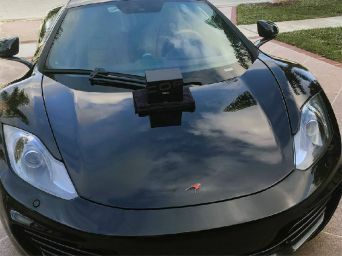 It is the skill level and the execution of properly preparing the vehicle before applying the coating that is going to determine the quality of the end result. * A Miracle Detailing / Mike Moore is certified with both CQuartz Finest Reserve and CQuartz Professional ceramic coatings. NOTE: Less than 3 of every 1000+ applicants are approved for the highest level - CQuartz Finest Reserve. 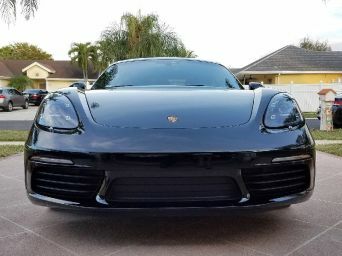 * A Miracle Detailing / Mike Moore is a member of the International Detailing Association (IDA), with both Certified Detailer and Skills Validated certifications. Cquartz Finest Reserve and CQuartz Professional both have a very sharp brilliant gloss and they have a very low water contact angle. This means water forms a nice tight bead and can barely stay on the vehicle. 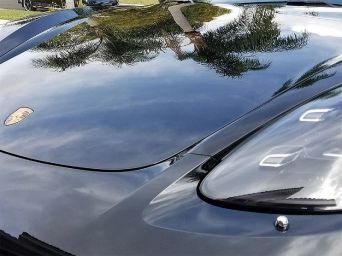 To achieve that deep, wet, glossy look, paint correction is needed to safely correct the swirl marks, marring, holograms, fine scratches and increase the gloss and clarity to make the paint the best it can be before applying the ceramic coating. Paint correction is a time consuming process. 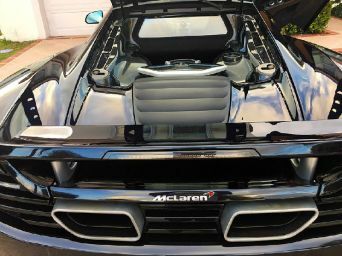 Most of the time spent is the labor to polish the paint before the preparation work in order for the coating to bond, cure properly, and look its best.